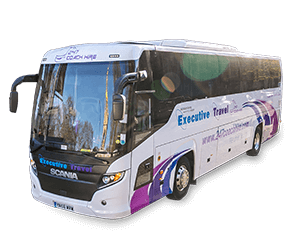 Perfect for school journeys, charity or church organisation, company events or weddings, this type of vehicle is a pleasant surprise for larger groups looking for comfort, high quality service and affordable transportation. 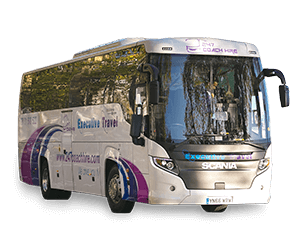 It’s an ideal choice for a transfer of several hours, a day trip or an UK/European tour thanks to the modern and comfortable specifications ensuring the best experience on board. 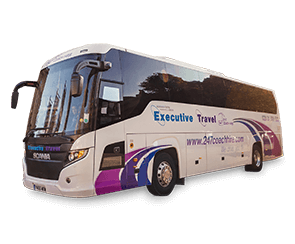 The 49-Seater Executive can be used by maximum 49 passengers with 49 pieces of hand luggage and 49 pieces of medium check-in luggage.